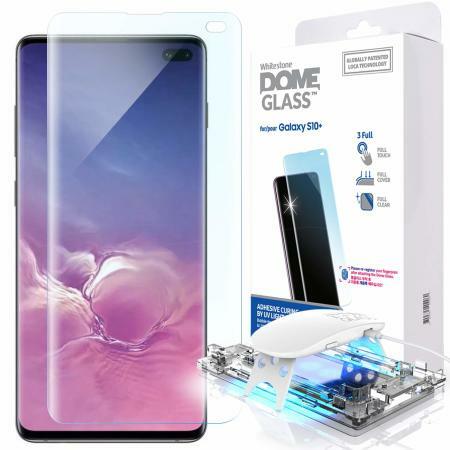 The Whitestone Dome Glass screen protector for Galaxy S10 Plus uses a proprietary UV adhesive installation to ensure a total and perfect fit for your device. Also featuring 9H hardness for absolute protection, as well as 100% touch sensitivity retention. This is by far the best screen protector I've used for curved screens. There are a few steps involved but it's not complicated and the instructions are very clear. Unlike other screen protectors (like the $50 one that Verizon sold and installed for me) these do not pop off and do not reduce touch sensitivity. As a side note customer service at Mobilefun was very helpful when the USPS lost the first package. I contacted them and they sent out another which was delivered in a couple of days at no cost. Fast service and very professional. Even though this brand is known to be compatible with the finger print access, it will be a 6/10 chance it will recognise it. Having had Dome Glass on my previous S8+, I went straight for this on my S10+ and it didn't disappoint! Easy install and no bubbles. Finger print scanner still works at a decent rate, I have registered my prints a number of times to reduce the fails. Still very happy with the product! Once it's on, it looks great. It covers the entire screen, curving over the sides. Getting it on is kind of scary. There's at least 10 steps and I was worried about the liquid adhesive. It's not suppose to interfere with the fingerprint sensor, but I found that the phone is constantly asking me to press harder although I turned up the sensitivity. Best screen protector for the samsung s10 plus. Easy to install. Ok, there are lots to choose from from the cheap to the "I might as well just buy a new phone when I scratch it" but after much searching I decided on the Whitestone Dome Glass. 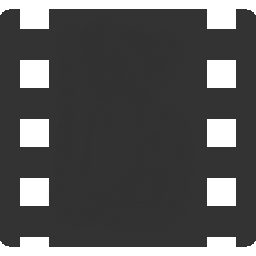 As most people say - watch the videos a few times. That said, even for someone as hamfisted as me, it was a straight forward process and went smoothly. Even reregistering my fingerprint went well and it worked even better after adjusting the setting to increase sensitivity for screen protectors. I suppose time will tell if this is good as it gets but I am a very happy buyer at the moment. Love this screen protector. Searched how to properly apply via YouTube and it showed exactly how to do it, step by step. Followed this afterwards and the screen protector applied so easily and perfect first time. Alignment was perfect using the provided case and the screen is crystal clear with no marks/bubbles etc and touch screen works as if there was nothing there. Registered fingerprint again and it works first time everytime. Amazing job, would highly recommend. THE ONLY glass screen protector to use for the S10+. Follow YouTube videos for installation. Some issue with the fingerprint sensor even though setting set to extra sensitivity hence 4 stars. The screen protector is very good, covers the all screen of the phone, but even I did scan the fingers print again , the scanner is not working as before I applyd the screen protector. So best is to use the face recognition instead. I bought the Whitestone cove case after watching a review of it on Youtube. So far, the case has lived up to expectations. It is easy to install and looks amazing. It hasn't scratched/scuffed at all whereas the original screen has! Absolutely stunning case. Game changer! Installation is straightforward if instructions are followed. The fingerprint scanner's sensitivity is not as without the screen protector but at least it provides impact protection and fits perfectly, not bothered by silicone cases. The best screenprotector for Galaxy S10, still able to use the ultrasonic fingerprint reader with the protector installed. Much better than other screenprotectors I've tried. Can highly recommend this product. Followed the instructions for a near flawless installation. A little bit more finicky than a traditional screen protector, but it's so thin and flush with the device that it looks a step above offerings from the likes of Spigen, Mime Glass USA and others I have used it the past. Almost impossible to tell there's a screen protector installed unless you're specifically looking for it. My handset display had a rather deep scratch already on the left hand side (not visible when screen was on, but looked like an unsightly gouge in the screen when light was reflected off of the unlit screen), so I was initially worried whether it would adhere properly - not only did it adhere to the screen perfectly, the scratch is now impossible to see, even when shining a bright light on the device. The only slight downside (and admittedly this may just be my own fault rather than a flaw in the product) was that when removing the sticker obscuring the speaker grille, the glass underneath hadn't properly adhered to the screen so now there's a little air bubble (about 2mm wide horizontal line) at the top of the display. Not a biggie and was much more worried about the scratch. If this screen protector ever needs replaced, I'll use the second in the pack and hopefully get a fully flawless installation next time! Touch sensitivity does not seem to be impacted. I reregistered my fingerprints after installing the protector as per their advice, and have had no issues with the ultrasonic fingerprint reader. Considering the price Samsung is charging for replacement screens and scratch repairs, an investment like this is a no brainer for me. don't do what i did and ignore the advice to watch the video a couple of times before you start. Luckily the company sends enough resources for a second go. I can say in confidence that it is easy to install. It looks clean. One thing I do wish is that I can order the Screen protector as a standalone without the UV as backup. Most advanced screen protector to have. Easy installation and feels the same as original screen . It's only one protector who works for curved screen. Good but check your case! Really good but if you put a case on that touches anywhere of the side of the screen protector it will make it lift! This is my go to product for screen protectors. The quality is as expected, however since I have installed the screen protector the fingerprint scanner is no longer picking up my fingerprints properly. I have retried adding my fingerprints many time but to no avail. Also putting my finger in the right place is more difficult as well. I had no issue with other screen protectors while I waited for this product.